Will Taking a Certain Amount of Vitamin C Get Rid of a Cold? Traditional tea making won't give you maximum benefits from echinacea, says Rustem Medora, a pharmacy professor at the University of Montana who specializes in the medicinal property of plants. Instead of making tea by steeping tea bags or dried echinacea in hot water, Medora recommends adding echinacea tincture to hot water because alcohol does a better job of preserving echinacea's benefits. Check with your health care provider before adding echinacea to your self-care routine. There's some evidence that taking echinacea may reduce your risk of catching colds. According to the University of Maryland Medical Center, people who took echinacea reduced their risk of contracting a cold by as much as 58 percent compared to people who didn't use it. And children who took a combination of echinacea, propolis and vitamin C reported fewer colds than children who didn't use this treatment, according to MedLine Plus. Because both of these studies have questionable scientific validity because of research and analysis methods, more research is needed in this area. When you get sick, taking echinacea may help speed your cold on its way--though there's conflicting research on its effects, according to MedLine Plus. According to the University of Maryland Medical Center, drinking several daily cups of echinacea tea for five days after noticing the onset of cold symptoms led to quicker cold recovery times, but those results haven't been replicated in larger, better-designed studies. 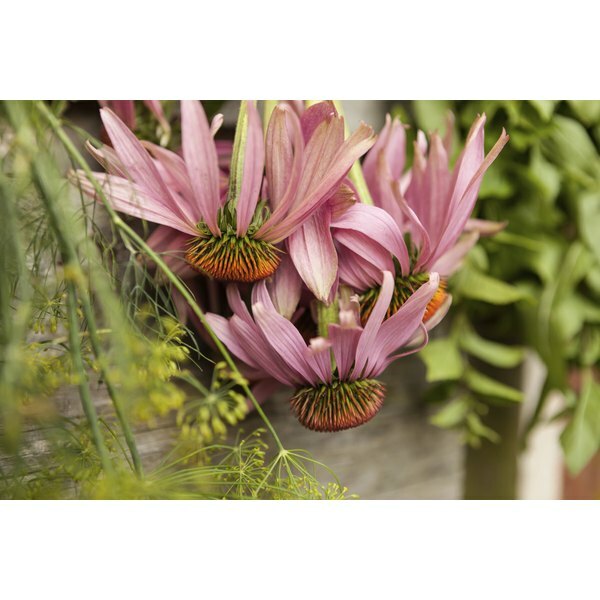 Echinacea may have other benefits, too, but more research is needed to confirm them. According to MedLine Plus, echinacea tea may stimulate the immune system to improve general health and improve some types of cancer. The University of Maryland Medical Center says that drinking echinacea tea can also help treat bladder infections. Echinacea's cold-fighting benefits may also have beneficial effects on flu symptoms.